On our about me Site you will find more information about us. 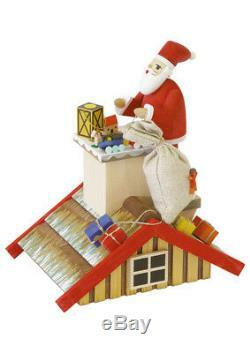 The item "German incense smoker Santa Claus, height 20 cm / 8 inch, origina. RG 02601 NEW" is in sale since Wednesday, September 12, 2018. This item is in the category "Collectibles\Holiday & Seasonal\Christmas\ Current (1991-Now)\Figures\Other Curr.